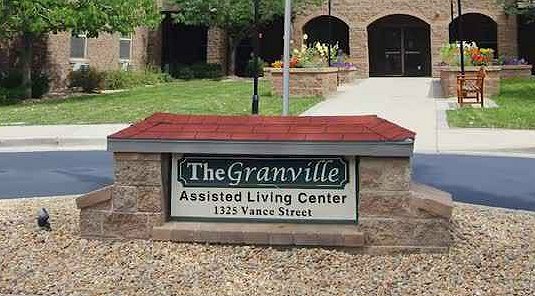 At The Granville we provide supportive services such as housekeeping, laundry services and personal assistance. We are a privately owned assisted living community, conveniently located near the BelMar shopping district in Lakewood and Historic Highlands Square in Denver. The Granville has been privately owned and operated since 1998 when it opened its doors to those whose income was restricted. Its mission, to service this population with dignity and respect, remains today. What are the sizes of your apartments? Monthly rates start at $2,905 and include rent, supportive services, and utilities except for phone and cable. Yes, we accept individuals on the Medicaid Home and Community-Based Services Program (HCBS). We also accept InnovAge. 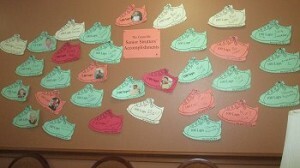 Our residents must be at least 62 years of age. What are your physical requirements? Each resident or potential resident must be able to transfer independently and be able to get to and from meals independently. Incontinent residents must be able to manage their incontinence. To be eligible to move into The Granville, an individual’s annual income may not exceed $35,280; for a couple, $40,320. This includes income from all sources. Are any of your apartments handicap-accessible? Yes, we offer seven handicap-accessible rooms for those who might need one. Please contact us for availability. Yes, we have 7 units set aside for couples. For a tour of one of these units or for more information, please contact us. Is smoking allowed in the community? No, we are now a no-smoking facility. Pets are welcome to visit. However, to provide a worry free community for all of our residents, pets are not allowed to reside at The Granville. Is the Granville a locked community? No, The Granville is not a locked or secured community. No, we do not serve special-diet meals. We do provide sugar-free desserts and snacks for residents who are diabetic. Do you have a store on site? We have a general store for residents to purchase items they may need. Do you have a beauty shop? Yes, we have a full-service beauty shop. Can the family bring in additional assistance or staffing to help with the needs of their loved one? Yes, we support home health care as well as private duty care through outside agencies. If you have further questions or want to learn more, please contact us. We encourage our residents to stay active with a variety of exercise programs and incentives to keep moving.